To integrate mental health services into primary care in Rwanda using community-based mentorship and enhanced supervision. Provision of affordable community-based mental health care by non-specialists using MESH and PM+ models. There is a limited number of public mental health workers and specialists in Rwanda, as well as a high burden of mental illness. 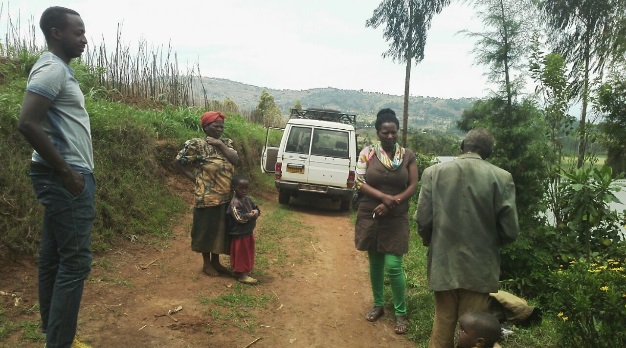 To meet this need, Inshuti Mu Buzima (IMB), a sister organization of Partners In Health (PIH), in collaboration with the Rwanda Ministry of Health, developed a training and service delivery model in the Burera district of Rwanda. The Mentorship and Enhanced Supervision at Health Centers for Mental Health (MESH MH) model integrates core packages of services for severe mental disorders into routine primary health care, and provides training to primary care nurses under supervision from public district mental health staff, together allowing for affordable community-based care and effective treatments to be provided by non-specialists. While piloting this model, the Ministry of Health and PIH/IMB identified the need to expand the mental health system and incorporate additional clinical services into service delivery. In particular, there was a need to strengthen the non-pharmacologic elements of existing services by integrating evidence-based psychotherapies for treating mental health disorders. Delivery of a psychotherapy intervention, the World Health Organization’s Problem Management + Protocol (PM+)1 adapted for the Rwandan context, is therefore being piloted and rolled out in 2017. A separate evaluation for the PM+ Psychotherapy intervention will also be conducted; indicators for this component are currently being developed. “Working with the MESH program has changed my perception of patients with mental illness. I now know they are like other types of patients: they can be treated and they can get better." Mental health service delivery at IMB started through the Mentorship and Enhanced Supervision at Health Centers for Mental Health (MESH MH) model, implemented from 2014- 2016 via a seed grant from Grand Challenges Canada. MESH MH is a model adapted from the Mentoring and Enhanced Supervision at Health Centers Model (MESH), which was originally developed for HIV and other clinical areas2. MESH MH strengthens decentralized primary health care services at health centers through a combination of didactic training, ongoing clinical mentorship, and quality improvement activities3,6. Training: Health center nurses receive intensive training (40 hours) on identifying and managing four major neuropsychiatric disorders: schizophrenia, bipolar disorder, major depressive disorder, and epilepsy. Community health workers also receive sensitization and training on these disorders. 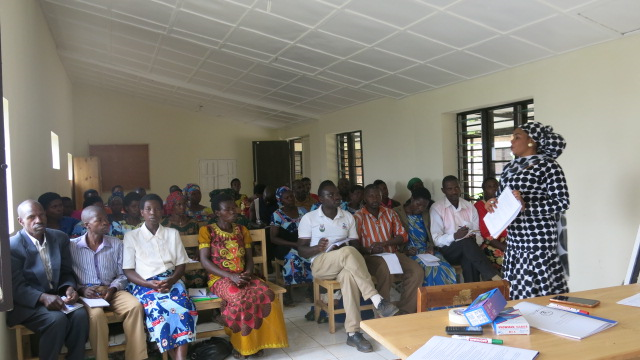 Supervision: After the training, nurses receive regular supervision by trained Rwandan mental health nurse mentors. Mentors conduct regular supervision visits for clinical observation, case and documentation review, and brief didactic sessions, using a mental health supervision checklist. This checklist ensures standardization of activities and performance of key elements of psychiatric evaluation, diagnosis, and referral. Quality of care provided by health center nurses is defined by the successful completion of checklist items. During supervision visits, the nurse mentor also discusses system-based performance issues and “quality gaps” with the health center nurses and director to formulate specific plans to improve patient care, referral pathways, and coordination between services. Over the course of MESH implementation, the MOH and PIH/IMB identified the need to strengthen the non-pharmacologic elements of existing services, specifically by integrating evidence-based psychotherapies for mental health disorders into the primary care system. A pilot delivery of a psychotherapy intervention is being rolled out using the World Health Organization’s Problem Management + Protocol (PM+)1. PM+ has been shown to be effective in Kenya and Pakistan4,5, and IMB will be the first to adapt PM+ for Rwanda and to deliver the intervention in a ministry/NGO setting. Implementation and pilot testing begins in 2017. In 2005 the Rwanda Ministry of Health invited IMB to develop and test health system strengthening initiatives that had the potential to be scaled nationally; MESH MH is one of the results of IMB’s subsequent efforts. The general MESH model from which MESH MH was adapted has been used in other clinical domains within IMB’s catchment area. The goal over the next few years is to expand MESH MH to all IMB supported districts. In the future, the MOH also plans to expand MESH MH to districts outside of IMB’s catchment area and scale up the model nationally. The psychotherapy intervention, though being piloted in Burera district currently, has potential to be implemented across all IMB health centers and nationally with the support of the MOH. Lessons learned from implementing this intervention in a real world setting and from evaluation results will be shared to the broader global mental health community, so as to inform best practices in the field and share knowledge with organizations doing similar work. Given the cross-site relationships IMB has with other PIH sister organizations worldwide, there is potential for the models developed at IMB to be scaled in countries around the globe. A mixed-methods outcomes evaluation with a pre- and post-test design was done at a subset of health facilities participating in the MESH MH program. Qualitative and quantitative outcome evaluations were conducted to determine whether patients receiving mental health care at supported health centers experienced clinical and functional improvement, and to explore the perspectives and experiences of health workers and patients who receive care through this program. The primary outcome measures were clinical symptoms and daily functioning at baseline, two months and six months. Data on service user outcomes and experiences of care is pending. As an adjunct to these evaluations, a process evaluation was conducted using service utilization data to assess changes in uptake of mental health services at participating health facilities within the district. MESH supervision checklists were used to determine whether participating health center nurses adequately provide basic quality mental health care. Results of the evaluation are currently being analyzed and will be published in 2017. An evaluation plan is currently being developed using screening tools from the PM+ assessment trialed by the World Health Organization4,5 and indicators for this component are currently being developed. The aim is to rigorously measure and evaluate the impact of psychotherapies delivered at the health center at both an individual and population level. IMB’s mental health program is being implemented in partnership with the Rwanda Ministry of Health, with a goal to integrate mental health into primary care using existing Rwanda Ministry of Health care systems. The Rwanda Ministry of Health is also planning to scale up the program nationally. Project costs are limited to ensure that the program will be financially adoptable by the MOH. Most of the project costs involve capacity building of human resources, strengthening medical supply channels, and advocating for policy change. Rwanda has a nation-wide community-based health insurance system, Mutuelle de Santé, in which premiums go into a local risk pool administered by communities. Premiums are determined on a sliding scale, and indigent populations are subsidized by the government. MESH MH treatment costs are covered in large part by Mutuelle de Santé, which increases the financial sustainability of the program and reduces the share of the cost carried by patients. Plans for targeted research on the cost effectiveness of the MESH program are underway. Between October 1st, 2014 and September 30th, 2016, significant improvements in nurses’ skills and knowledge in managing mental illness were measured. Following MESH services, integration of mental health in primary care was accelerated and service has improved. At the beginning mentors were taking the lead in mental health care, but now health nurses who have been trained and mentored for at least six months are taking the lead of care. To date, 48 nurses at 19 health centers have been trained to provide mental health care and are continuing to receive ongoing mentorship through MESH MH. Mental health services at the community level have also improved through community talks and training. 946 community health workers have been trained to identify mental health disorders, reduce stigma, and support patient care in the community, as well as helping patients’ families to cope with the stress related to mental illness. Access to mental health care has improved, as more mental health patients have been identified and have access to care: 2,239 unique patients have received mental health care, and 15,744 total mental health patient visits have occurred at MESH MH health centers. The evaluation component of the program was started in October 2014 and is ongoing; data on service user outcomes and experiences of care is pending. World Health Organization. (2016). Problem Management Plus (PM+): Individual psychological help for adults impaired by distress in communities exposed to adversity. (Generic field-trial version 1.0). Geneva, WHO. Anatole, M., Magge, H., Redditt, V., Karamaga, A., Niyonzima, S., Drobac, P., … Hirschhorn, L. R. (2013). 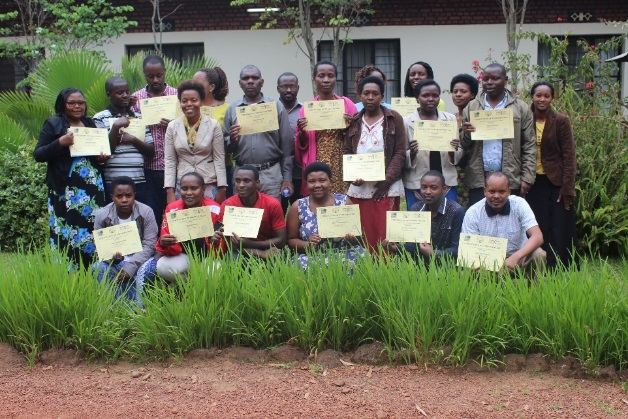 Nurse mentorship to improve the quality of health care delivery in rural Rwanda. Nursing Outlook, 61(3), 137–144. Hansen, E. (2016, 22). Model Mental Health Care in Rwanda. Retrieved January 18, 2017. Sijbrandij, M., Bryant, R. A., Schafer, A., Dawson, K. S., Anjuri, D., Ndogoni, L., … van Ommeren, M. (2016). Problem Management Plus (PM+) in the treatment of common mental disorders in women affected by gender-based violence and urban adversity in Kenya; study protocol for a randomized controlled trial. International Journal of Mental Health Systems, 10(1). Sijbrandij, M., Farooq, S., Bryant, R. A., Dawson, K., Hamdani, S. U., Chiumento, A., … van Ommeren, M. (2015). Problem Management Plus (PM+) for common mental disorders in a humanitarian setting in Pakistan; study protocol for a randomised controlled trial (RCT). BMC Psychiatry, 15(1). Smith, S. L., Misago, C. N., Osrow, R. A., Franke, M. F., Iyamuremye, J. D., Dusabeyezu, J. D., … Raviola, G. J. (2017). 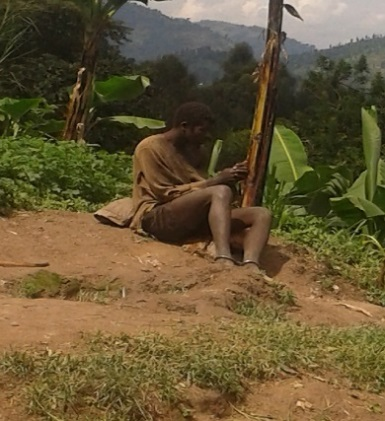 Evaluating process and clinical outcomes of a primary care mental health integration project in rural Rwanda: a prospective mixed-methods protocol. BMJ Open, 7(2), e014067. Catatonia in Resource Limited Settings: A Case Series and Treatment Protocol. Republic of Rwanda. (2012). National Mental Health Policy.